Participatory research has diverse approaches, perspectives, practices, and methods. At IRRI, participatory research differs according to various interpretations of the mode of research partnership or “participation” in research, the goal or rationale for encouraging participation, gender and stages in the project, the level of “control” or “ownership” that local people have over the research process, the scale of participatory activities and stakeholder involvement and the levels of management involved, and the level of disaggregation and representation of different stakeholders required for the research. Participatory research has diverse approaches, perspectives,practices, and methods. At IRRI, participatory researchdiffers according to various interpretations of the mode of researchpartnership or “participation” in research, the goal orrationale for encouraging participation, gender and stages inthe project, the level of “control” or “ownership” that localpeople have over the research process, the scale of participatoryactivities and stakeholder involvement and the levels ofmanagement involved, and the level of disaggregation and representationof different stakeholders required for the research. Read more. 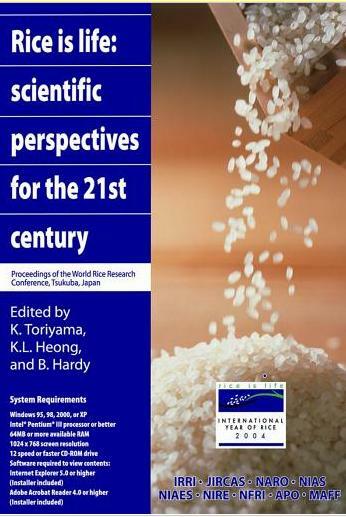 This entry was posted in Participatory research, Rice research. Bookmark the permalink.